The Mother PAC | THIS WEEKEND ONLY: A ghoulish offer you won’t refuse! It’s Friday the 13th and we don’t believe in bad luck (don’t step on any cracks today! Or walk under any ladders!) but you know what is frightening? Trump and local elected leaders like him (Dennis Richardson, for instance) continue to throw women under the bus. UTTERLY TERRIFYING. But we must fight back and win. 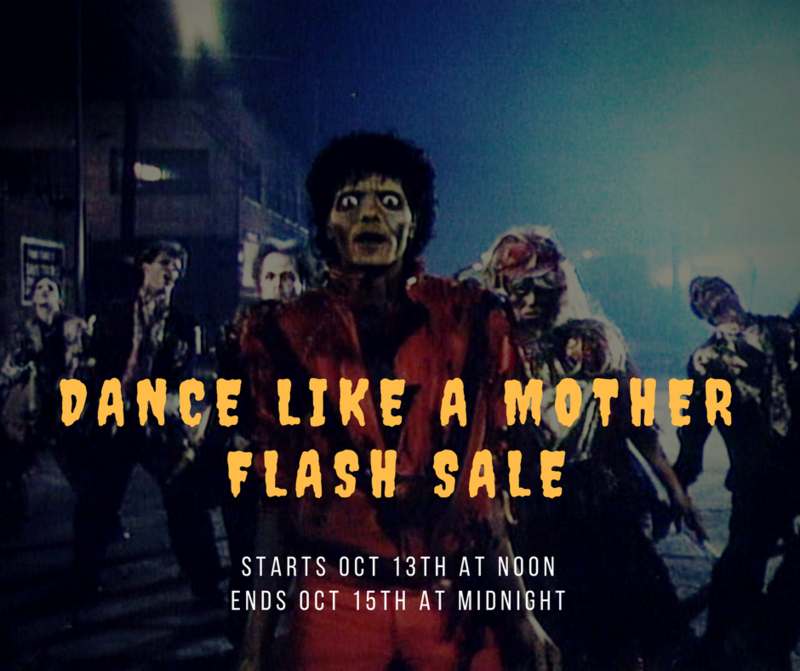 That’s why for this weekend only, we’re holding a flash sale for Dance like a Mother 2017! And yes, this administration has already been one LONG nightmare (Have we been stuck in Michael Jackson’s Thriller music video without any of the good music? ), but we know that we have the power to change our leadership. It’s going to take the power of our voices, the use of our time, and what we can afford to change politics. We know we can elect leaders locally that will fight for the policies that helps families in Oregon thrive and defend against national threats. We know that together, this is possible. Starting today, Friday, October 13th at noon until Sunday, October 15th at 11:59pm, you can buy tickets for our annual party at a discounted price. Grab a ticket for yourself or five of your friends – but don’t delay, buy your tickets before it’s too late! What: A dance party hosted by the Mother PAC to raise funds that support political candidates that fight like a mother — for all of us. When: Saturday, November 11th from 6:30 to 10p.m. Who: You! Your friends! Your mom! Anyone you know who wants to come out and dance for a good cause (and who is 21 and over, please)! Tickets: Buy your discounted tickets here! Can’t make it? Never fear, you can support our work anyway! Click on the event registration page and donate! Make sure to RSVP on Facebook too and let your friends know you’re coming! PREVIOUS POST: « It’s Back – Dance like a Mother 2017!